After rescuing Kitty and Nightcrawler from the vengeful Kologoth, the X-Men had to save his planet from the god Scythian. It took all their power to tow him to the Negative Zone, and now the team is stranded on a new and unfamiliar land. 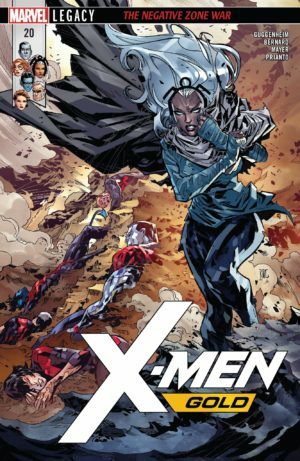 Plot: X-Men: Gold #20 drops readers off in the middle of the team’s confusing circumstances, with Storm bemoaning her inability to control this planet’s weather while being faced with alien monsters. The rest of the X-Men are similarly isolated, as Eric wakes up to find no one but a precariously impaled Kurt around. 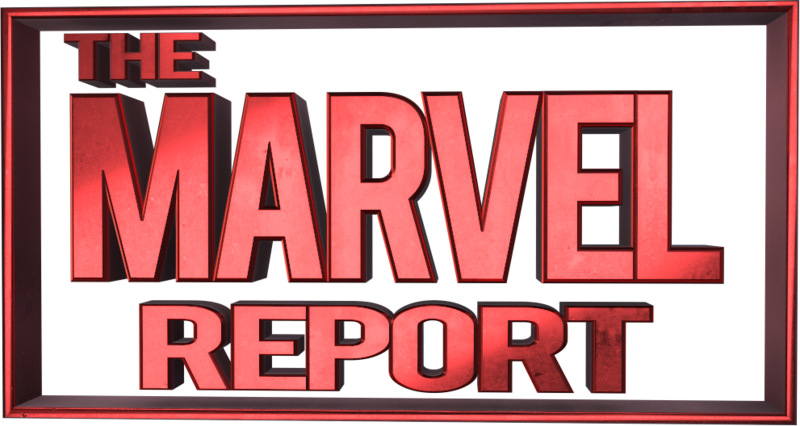 Logan and Hisako are in yet another ‘elsewhere,’ while Kitty struggles to phase herself and Peter through a dangerous sandstorm. Each group tries to find the others without any understanding of how they survived a crash that by all rights should have killed them. Story: The first half of X-Men: Gold #20 is primarily focused on establishing the surroundings of this unknown planet, as well as introducing the dangerous situations that (most) of the team members find themselves in. While Ororo has a pretty big problem on her hands, and it’s nice to see her get a little spotlight to herself in the run that often shafts her importance, the other X-Men’s plots fall a little flat for the most part. Ink develops more personality, but his role is just to make it easier for Kurt to overcome the odds. It’s also nice to see Logan as a de facto leader in times of crisis, but once again it feels like the characters are just going through the motions – starting off in separate locations only to find each other in the span of half an issue. The Negative Zone arc was the first time in the current run that the three-act structure was made into a longer one, but at the moment is feels like a lot of that space was wasted. If anything, three issues’ worth of the team being stranded and separated on this planet and having to find their way back to each other would have made for a more compelling arc. 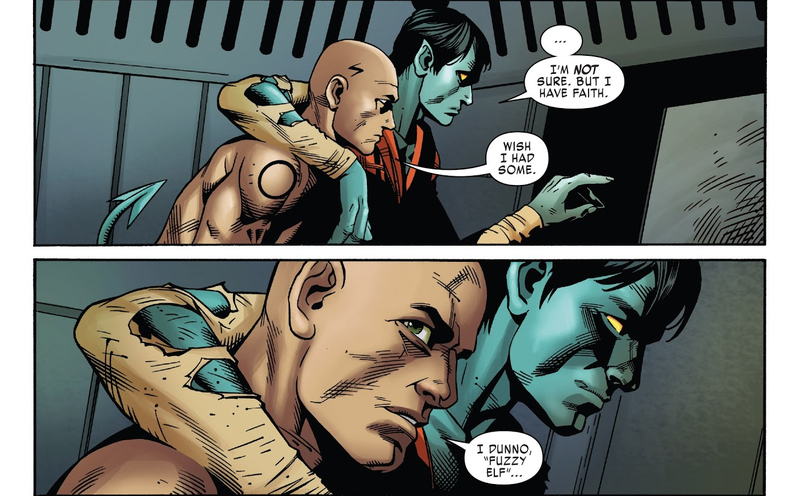 But as it is, X-Men: Gold #20 feels like a tacked on epilogue with the potential for so much more. Peter and Katya’s romance is at the emotional center of the story, and it’s clear Guggenheim wanted to raise the stakes in order to drive their relationship to the next stage. But the natural progression of their dynamic has been enjoyable from the start of the series, and there was no need to artificially ramp up the tension for their benefit – especially when the danger is deflated by the end of a single issue. However, the faults in the narrative structure do not take away from the sincere pain and joy that Kitty goes through in X-Men: Gold #20, and it’s hard not to feel for her on the roller coaster ride of emotions she has to deal with. In addition, while the issue does little to delve deeper into Armor and her relationship to others on the team, it does much to establish Ink’s position and budding friendship with Kurt. Hopefully future issues will continue to incorporate Hisako and give her more to do. Art: Diego Bernard makes up for much of the storytelling faults with a rich and detailed depiction of the (still unnamed, it seems) alien planet. 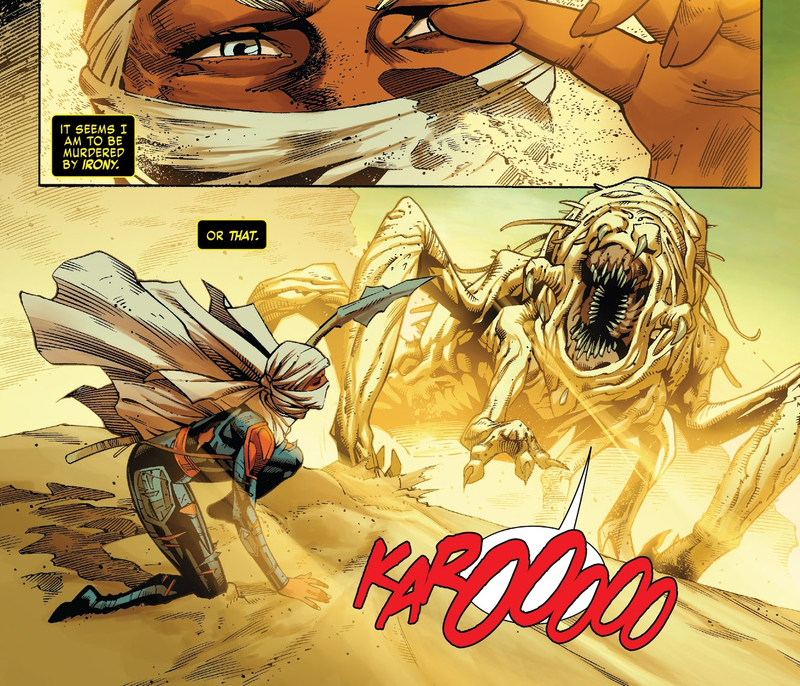 This can especially be seen in Ororo and Kitty’s panels, in which the monster is genuinely terrifying and the sand chipping away at Peter’s life force seems to rage on unabated. And while the scenes take that place inside the crashed ship are less dynamic, the praise here must go to how much care he uses when drawing lesser known characters. Ink and especially Armor feel like fully fleshed-out heroes despite their limited panel time and interaction with others, and that is primarily do to the penciller’s efforts to distinguish them. Frank Martin’s colors still look beautiful, and the yellow versus blue dichotomy is both visually appealing and helps to separate the storm outside from the situation within. But his depiction of Ororo Munroe is still too light, and it’s distracting in an issue where she gets a little more time to shine than normal. But thankfully her expressions and actions throughout X-Men: Gold #20 are realistic, allowing for more development in her arc than she’s had so far this run. Verdict: X-Men: Gold #20 would have worked better as its own standalone arc rather than as a conclusion to the Negative Zone story, but there are a few standout character moments that work well. If you are a fan of Kitty and Colossus, or you’ve been waiting patiently for a bit more Storm, you will enjoy their progression if not the story as a whole.